Elaine C. Klein is Professor of Linguistics Emerita at the Graduate Center, CUNY, where she received her Ph.D. in Linguistics with a specialization in second language acquisition. Having taught CUNY undergraduate and graduate courses in literacy, second language acquisition, research methods, sociolinguistics, and English syntax, among other courses, she also specialized in preparing teachers for certification in the Teaching of English to Students of Other Languages (TESOL). A former New York City elementary and high school teacher, Professor Klein has focused her research on second language development and, more recently, on studies of and interventions for immigrant students with special language and literacy needs. 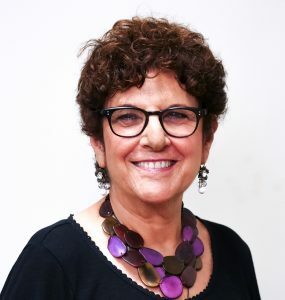 The author of two books and numerous academic papers, Professor Klein has given presentations at national and international conferences in her field. She has also conducted professional development workshops to teachers and administrators of English language programs around the world. Having been commissioned by the NYCDOE in 2005, along with Dr. Gita Martohardjono, to conduct research on Students with Interrupted Formal Education (SIFE), Dr. Klein’s recommendations resulted in the co-founding of Bridges to Academic Success. The intervention, based on the Klein/Martohardjono research findings, targets the skills needed for developing language, literacy and academic content knowledge among SIFE with limited literacy in their home languages. Dr. Klein served as the Bridges project’s Principal Investigator for the first six years and now serves as Co-PI/Project Advisor and will become Chair of the Advisory Committee (to be established in 2016-2017).